Carolyn was born in a small town, but that doesn't keep her from dreaming big. And on par with her large dreams is her overactive imagination that conjures up killers and cases to solve. She currently lives in a city near Toronto with her husband and two beagles, Max and Chelsea. She is also a member of Crime Writers of Canada. 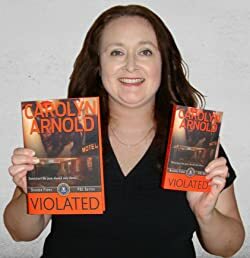 Please enter your email address and click the Follow button to follow Carolyn Arnold!